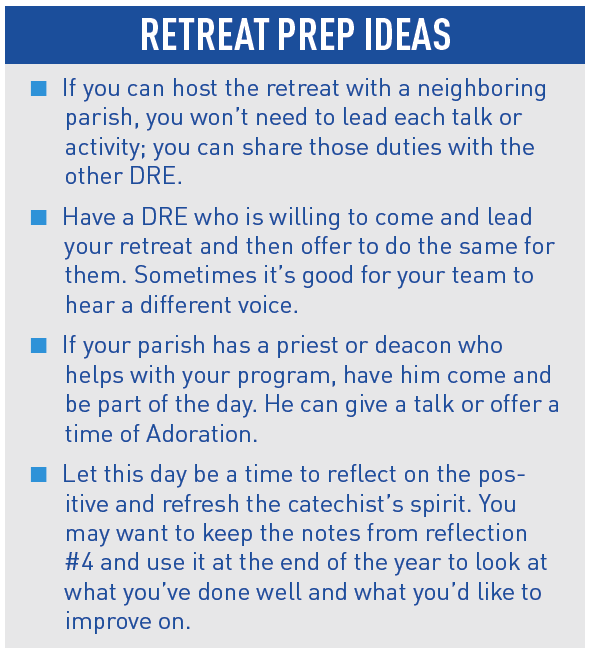 This retreat is designed so that a local director of religious education and a small team of dedicated volunteers can offer a parish-based retreat for catechists. Theme: This retreat focuses on the role of the catechist as revealed to us in Scripture. We will look at how God has revealed himself to us through his Word, through his people, and through Jesus. We’ll reflect on how Jesus reached people, and how we can do the same. This is a time to pray and reflect on who we are as catechists and answer the question of what our role is in echoing the faith to others. Why look at how our role is revealed in Scripture? Because we need God’s Word as our foundation. If we are rooted in the Word, we will be better equipped to pass on the faith to those we minister. I remember my first Bible, a New Testament called Good News for Modern Man. I received it because I was part of the retreat team in high school. I thought I was pretty special with that Bible. Thankfully I’ve since progressed to having the full Bible, with footnotes and study guides. If we are to pass on the faith to others, we need Scripture. I hope you read the Bible, both on your own and in groups, thinking and praying with verses that lift you up or convict you. Pray Daniel 3:52-90 aloud together. Let one half of the group begin reading, alternating each verse with the other half of the group. Introduction by the leader to the group: A catechist is one who echoes the faith. Our faith is comprised of facts and information and beliefs that we hold to be true. We want to echo all of that, not just one facet of the faith. Today is a chance to look at how we reveal our beliefs and knowledge to others. There is a very old saying: “Faith is caught, not taught,” which is very true. While it’s important to teach the truths and facts of our faith, that is not enough. Some people might argue that the facts are the last thing to worry about and instead focus on coming to know who God is and what Jesus did for us. Good catechesis is not either/or; it’s both. We are called to be authentic witnesses who teach by example, by the lives we lead. PRO TIP: Invite one or two catechists who echo the faith in your parish to be on your team. Ask them ahead of time to prepare a short testimony of what it means to them to be a catechist and why they do it. If possible, have one catechist who is a veteran and one who is newer in the ministry. After the talks, have catechists meet in small groups to discuss how and why they became catechists and how they have grown from the experience. Introduction to group: A revelation of God is called a theophany. There are many examples of theophanies in Scripture. Read the following passages: Exodus 19:16-19, Matthew 1:18-25, Acts 2:1-4. Then discuss how the theophany occurred. 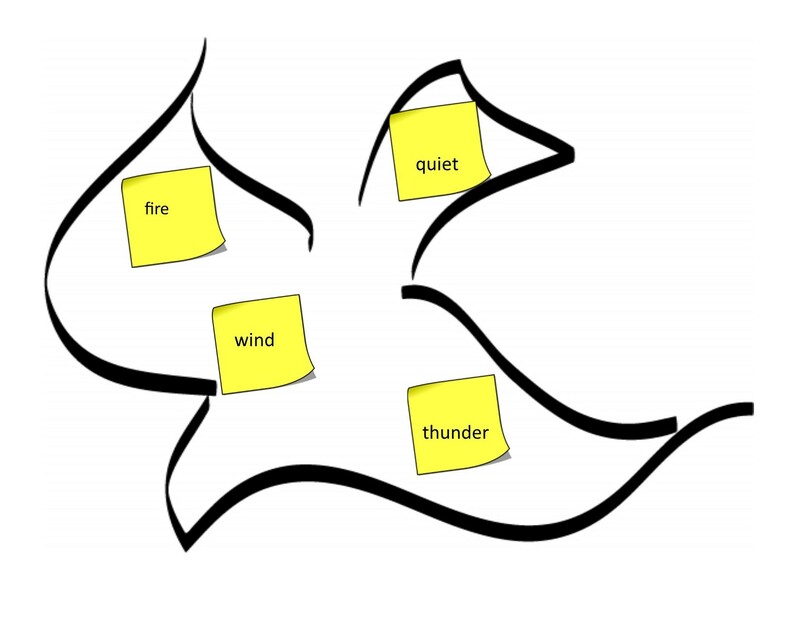 Have each person write one theophany that struck them on a sticky note, and then fill in an outline image of a mountain, Bible, or dove with the sticky notes. Introduction to group: Read or use the Power Point slides found here to tell the story of God revealing himself to Elijah in 1 Kings 19:9-13. God revealed himself in a “light, silent sound” (1 Kings 19:12b). How does God reveal himself to you? Allow the group to sit quietly for a few minutes thinking and praying about this question. Then play one of these songs (available on YouTube): “Restless,” Audrey Assad; “I Am Not Alone,” Kari Jobe; “Faithfulness,” Matt Maher. Allow time for the group to write how God reveals himself to them. In small groups, allow time to talk about these experiences. Let the group know that not all theophanies are big or loud or even serious. Have a collection of personal-sized rocks that are large enough to write on with permanent markers. Ask participants to write a word from what they have experienced thus far in the day on the rock. 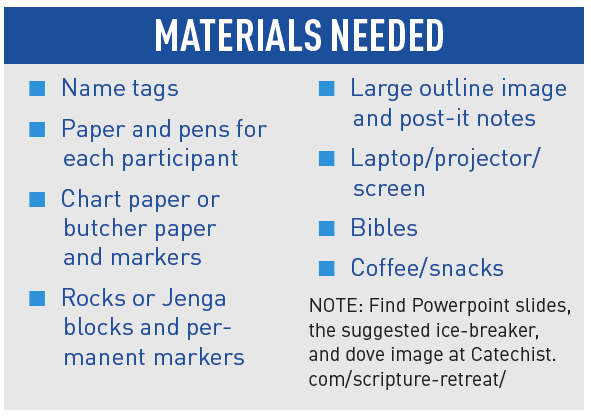 OPTION: Instead of rocks, you could get blank Jenga wood blocks and have catechists write/draw on those. These then can be used by classes or youth ministry groups. 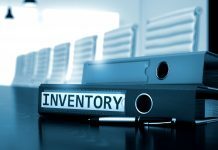 Activity prep: Set up large chart paper and markers for each group; provide butcher paper or chart paper to hang on a wall to collect and place all the lists into categories. Prior to the retreat, make category headings (miracles, healings, parables, theophanies, prayer, other) on butcher paper. Hang it up, but cover the headings until the groups are done working. Our ultimate example of God revealing himself to us is his Son, Jesus Christ. While we cannot reveal God to others as Jesus did, we can — and indeed are called to — reveal God and Jesus to others. 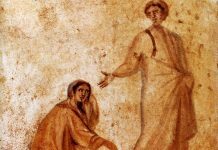 Let’s look at all the ways Jesus revealed his Father and himself to us and then think of ways in which we can reveal them to others. In small groups recall all you can about what Jesus did in the Gospels: healings, parables, miracles, and so on. Whatever comes to mind is important to you, so add it to the list. Once the groups are done, uncover the headings from the butcher paper. Depending on your group size, have one person from each group come up and write a few examples from their list on the butcher paper, or you can write them by calling out the heading and asking for examples. Once the chart is complete, take some time to step back and look at it. Point out how much was recalled, and how that shows that Catholics do know Scripture. Discuss how this chart points to why and how people followed Jesus. What did the answers have in common? Jesus cared for others. He knew the people he was talking to well, and he spoke in ways they could understand. Activity prep: Provide another length of butcher paper with the headings “Who we are” and “What we do” written on it. After looking at Jesus’ example, we can look at ourselves. How do we reach the classes and groups we want to lead to Jesus? This is a time to list the great qualities catechists have as well as good things done in class and in your program. Have each person make a list of their own and others’ good qualities and activities. After about five minutes, ask what they came up with and add them to the “Who we are” or “What we do” category on the butcher paper. Take some time to process this with the group. Be sure to point out the positives and how they correlate to what Jesus did with people. Give examples and expand on what the catechists have said. The goal is for each person to know that they are making a positive contribution to the faith journey of others. It also shows catechists that their energy, efforts, and dedication are appreciated by others. Closing prayer and song: Pray Psalm 92, A Hymn of Thanksgiving for God’s Fidelity, one half of the group alternating each verse with the other half of the group. Thank the group for coming and participating. Let them know you are grateful for all they do and that they are in your prayers. Deanna G. Bartalini, M.Ed. ; M.P.A, is a Catholic writer, speaker, and educator. She is the author of a Bible study, Invite the Holy Spirit into Your Life: Growing in Love, Joy, Peace, Patience, Kindness, Goodness, Faithfulness, Gentleness and Self-Control published by Gracewatch Media. Deanna writes at DeannaBartalini.com. 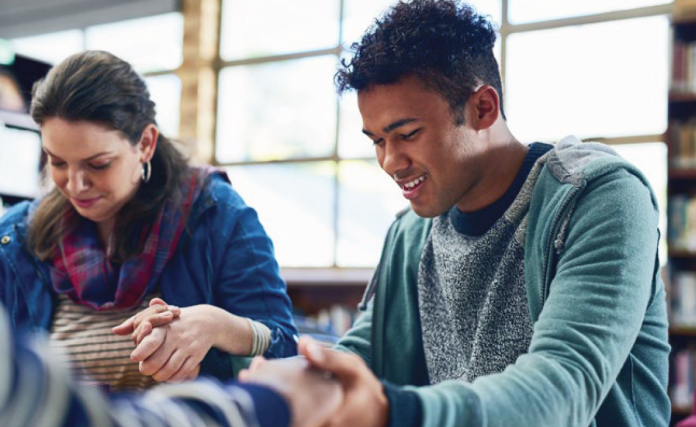 This article was originally published in Catechist magazine, January 2019. Slides, icebreaker, and dove image created by Deanna Bartalini.